We visit our dentist and hygienist twice a year. Early dental disease in our patients requires a similar approach. 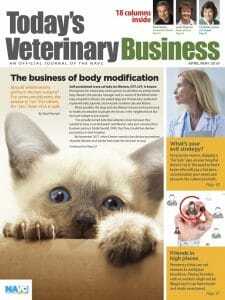 You’ve read about it in this and other veterinary publications. You’ve heard about it from clinicians and consultants. And you might have learned about it in veterinary school. But the numbers do not support that you have accepted it. What is “it”? The huge patient care, client care and practice care opportunities that exist in the provision of quality dental care. You know the statistic: 85 percent of all pets over age 3 have some level of dental disease. You know the benefits: less tooth loss, less oral pain, decreased likelihood of systemic disease. You know that an entire month on the veterinary calendar — February — has a dental focus: National Pet Dental Health Month. 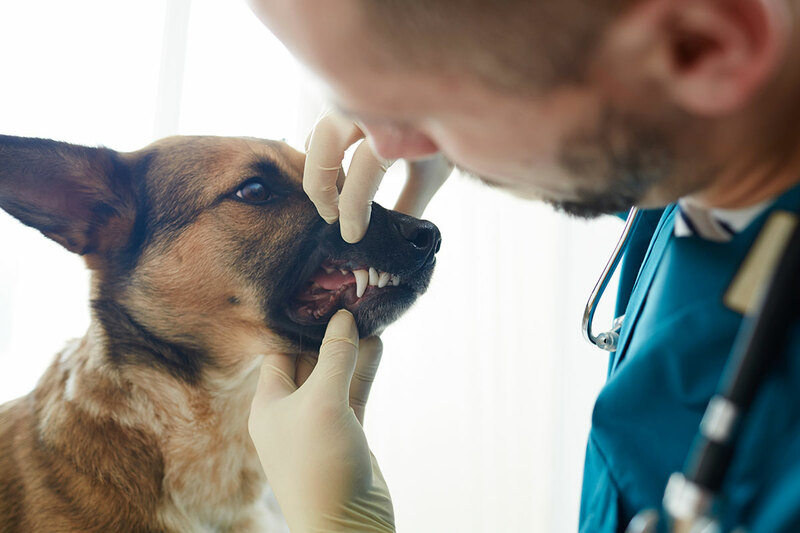 However, the average statistics for veterinary practices give every indication that none of the above has changed the level of importance of the dental disease discussion in the client experience. So, if you know the “why,” maybe you need help with the “what” and with “how” to find opportunities in the mouths of your patients. A. Very significant when it comes to patient care. B. Significant when it comes to patient care. C. Insignificant when it comes to patient care. D. Very insignificant when it comes to patient care. If you answered A or B, then why don’t your numbers reflect your concern? If you answered with any other option, continuing reading and let’s see if I can change your mind. All of us can relate to oral pain at some point in our lives — cavities, crowns, root canals, canker sores, broken teeth or the loss of deciduous teeth. With this in mind, our responsibility is to ensure that our patients don’t have to feel the same pain or worse. Dental care is an opportunity to control infection and, with it, control pain. That is a message you, your clients and your staff can relate to. Wrap your mindset around pain and infection. You do so when it comes to a cat bite abscess or a cystitis. Optimal dental care is a team effort. Every staff member needs to have buy in and understanding. It starts with training. Take time to discuss dental disease with your staff. Dedicate a few meetings to the anatomy and pathophysiology of dental disease. At one great staff meeting we taught everyone how to grade teeth. Every pet in the hospital was brought to the treatment area, and all 15 or so employees were given dental report cards and asked to grade the periodontal disease, tartar and projected pain that each pet had. We then discussed the findings as a group. Going forward, the teeth of every pet, whether in the practice for a bath or physical examination, were graded and the information was entered into the animal’s medical records. Almost every veterinary hospital employee has a pet. What’s also common is that employee pets don’t get the same level of care advocated for clients. Here’s a chance to provide your staff with the same level of care you want them to communicate to clients. So, clean the staff member’s pet’s teeth. But, you ask, who’s going to pay for it? Consider it a continuing education expense. Your staff member is treated just like a client and experiences what the client goes through. The outcome is pets with clean teeth and well-educated staff members who can now tell a client that their pet got a teeth cleaning and what the procedure entails. How can you expect your staff to educate and advocate if their pets aren’t given the same opportunity? So, you do one cleaning and your team member schedules 10 dental cleanings in the next 12 months. Every time you have a client and patient together, show the owner how to look in the pet’s mouth. Not just at the incisors, but all the way back to the molars. Point out red gums, brown teeth, receding gumlines and root exposure. Everybody on the team can do this because they were trained. Note: Non-DVMs are not making a diagnosis; they are simply showing the client the obvious. Every staff member can review medical records and talk about the progression of dental disease. Great educational handouts are available, or you can make leaflets showing and explaining dental grades. Show the mouth, show the handout and then tell the client that the doctor will discuss the topic further. Your pricing for early-grade dental disease procedures should reflect your costs, staff costs, equipment costs, anesthetic costs, etc. Subsequently, grades one and two dental disease should call for basic well care and be priced as such. Cover your costs and make some profit, but reward your clients for the early intervention. The more radiographs you take, the better you become at taking them. They provide a baseline for future comparison. You might find pathology you didn’t know existed. The standard of care is heading in that direction. Grade 3 or 4 dental disease is not well care. It is pathology, it is sick care, it is oral surgery, and it should be billed as such. There is complexity and risk with these patients. Antibiotics and pain medications not routinely needed in early dental disease might be necessary. These cases also raise the likelihood of extractions, and they routinely involve the veterinarian to a significant degree. Such cases take more time and should cost more. By encouraging clients to take on dental disease early, you will save them money and their pet’s pain and disease. The opportunities with dental disease are the epitome of teamwork and require everybody to work for the good of the pet. This starts with messaging from ownership and management that the veterinary practice believes dental disease is relevant. Staff education progresses into client education, patient care and follow-up. Finally, staff members are recognized and rewarded for their combined effort. If you don’t know where you are, you don’t know where you can go or how great you can be. Take a look at the number of dental procedures you’ve done in the last 12 months. Do you know which were grades one or two? Look at the percentage of your gross revenue that came from dental procedures. Do you know which cases involved grades one or two? If most of your dental procedures fit the oral surgery category, you have a wide-open opportunity for basic dental care. Anyhow, these are your starting points. From here, you can go anywhere. Try simple goal setting, such as 10 percent more dental procedures a month. Or think about this: If a DVM sees 20 patients throughout the day and 85 percent of all pets have dental disease of some level, that means 17 patients are potential candidates for a dental procedure. Can you schedule one of the 17 patients for a procedure? That would mean scheduling, on average, 20 to 25 dental procedures per full-time equivalent doctor each month. If you are already doing 20 to 25 monthly dental procedures per full-time-equivalent DVM, wonderful. If not, why not? If your percentage of revenue from dental procedures is 3 percent — $30,000 in a million-dollar practice — what is needed to go to 4 percent or higher? With the help of your team, what is a reasonable number of dental procedures that could be performed each month? That is your final GPS setting. What is needed to take you from where you are to where you want to be? If the “tooth” hurts, do something about it. The opportunity is there, so go for it. Dr. Peter Weinstein owns PAW Consulting and is executive director of the Southern California Veterinary Medical Association.